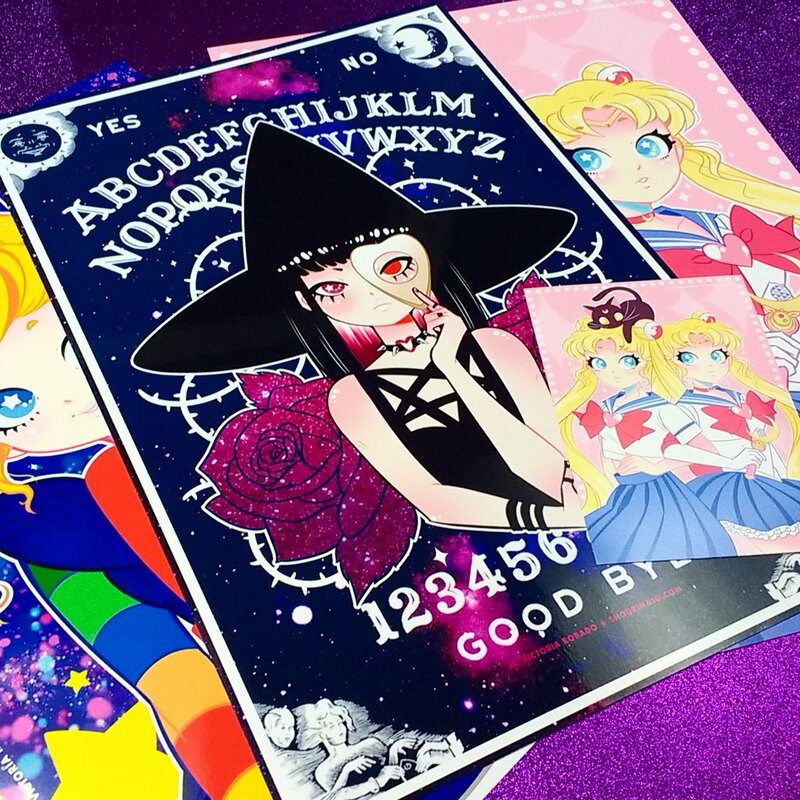 M. Victoria Robado is creating #Blessed, Cuties, and everything witchy! Hello everybody! Welcome to my Patreon! I am M. Victoria! You might also know me as Shouri. 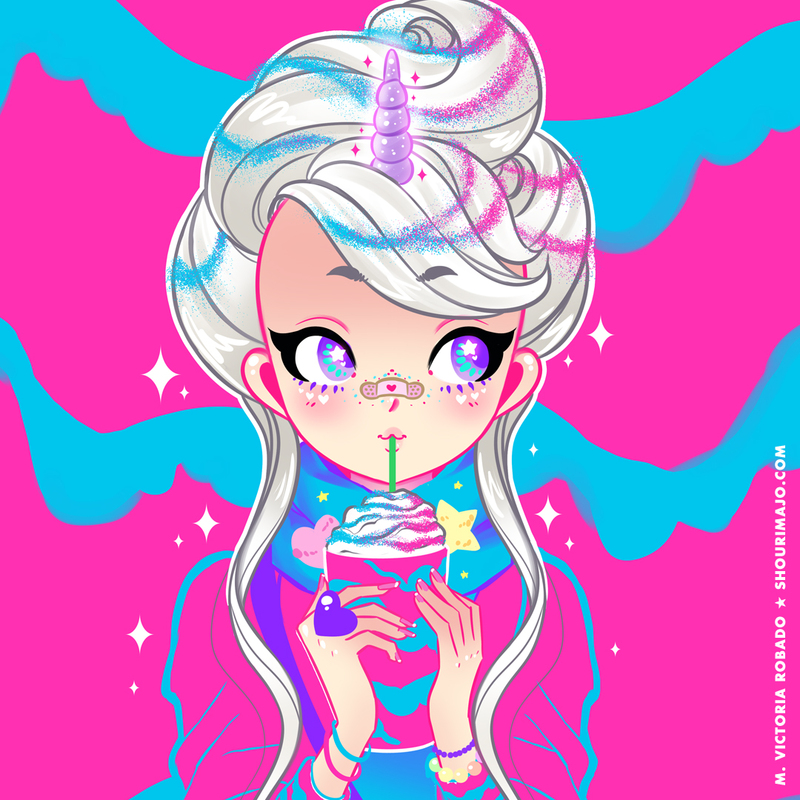 ★ I'm an Argentinian artist & comic author of everything cute! I work as a full-time artist, writing and drawing comics professionally, and cute illustrations to brighten your day! I also have other self-published comics online! I enjoy writing slice-of-life stories with sweet humor and a hint of sass. Right now you can read Fragile, Springiette and Never Ever Done, online, for free! I come to Patreon to be able to connect and offer more to my followers! You can now support me directly through Patreon if you like my art and want to help me continue to create cute space gals, funny comics, and adorable kitties! If you want to see more behind-the-scenes content, info on my work process, product reveals, sneak peeks of my future projects (that you will be helping come to fruition) and what a transhemispheric traveling artist really does, here is the place to be! I like to think of Patreon as a Tip Jar. Even the smallest pledge to me means "Hey! I really like your work and this is a monthly reminder of it!". (That's how I feel towards the artists that I back here!) But of course, Patreon is not the only way to show support! Reading & sharing #Blessed (or my other art!) is also support towards my work! Please note! Patreon charges patrons at the start of every month. For NEW patrons, you will be charged the day you become a patron, so you can enjoy the benefits of the month in which you sign up! After that, it'll be on the 1st of the month going forward. With Patreon, we can together make great things! Thank you all for your support!! Much love to you all! Thank you for becoming my Patron! Get access to the Patreon blog, where I post updates, WIPs, sketches, merch designs, recommendations, and more! You're helping me to keep creating art and making a cuter world! You'll be also able to vote in themes for new illustrations. ♥ Access to the Patreon blog! Receive a digital PDF with all my monthly sketches! I will collect my best sketches throughout the month, create a PDF booklet for you, and e-mail it to your inbox! Other possible postings to this tier are closer looks at my illustrations and comic pages, and coloring contests! I love sending out packages! 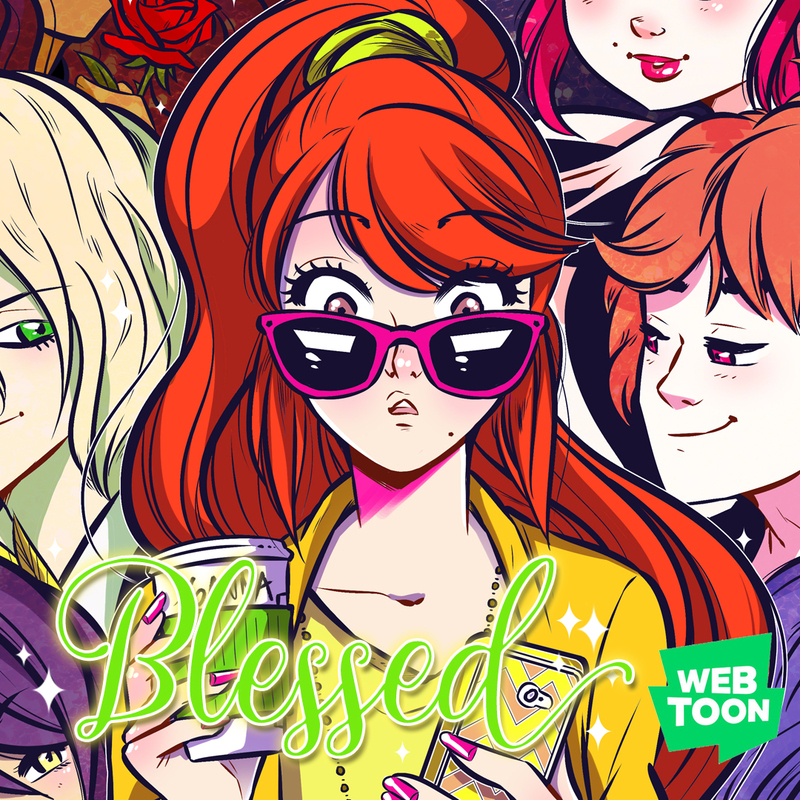 Each month I'll select an illustration based on my Webtoons comic #BLESSED, create a postcard mini-print out of it, sign it and send it your way! Also, because I love stickers, I'll also send a special sticker with it! Snail Mail Club will available world-wide! ♥ Monthly signed #Blessed postcard + Sticker set mailed to you! I love sending out packages! Each month I'll select an illustration, create a postcard mini-print out of it in exclusive METALLIC PAPER, sign it and send it your way! Also, because I love stickers, I'll also send a special edition sticker with it! Snail Mail Club will available world-wide! ♥ Monthly signed postcard + Sticker set mailed to you! You love both #Blessed and the Cuties? With this tier, you get BOTH signed postcards at a discounted rate! ♥ And the stickers, too! Snail Mail Club will available world-wide! ♥ Monthly signed Cuties + #Blessed postcard + x2 Sticker mailed to you!